1. In a bowl, put the fish and mix with turmeric powder and little salt. 3. Heat gingelly oil in a pan. 4. Add mustard seeds, fenugreek seeds, red chilli and curry leaves. 5. 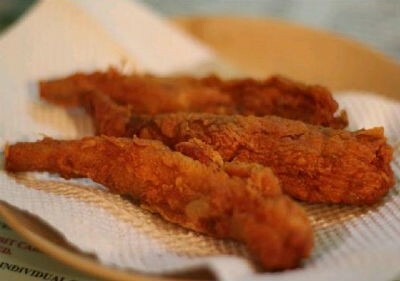 Fry for 1 minute. 6. Add small onion, dhaniya powder and tomatoes. 7. Stir and mix well. 8. Add red chilli powder, turmeric powder and fry for a while. 9. Add garlic and tamarind extract. 10. Add green chillies and ground coconut. 11. Then add the fish and boil for 5 to 10 minutes. 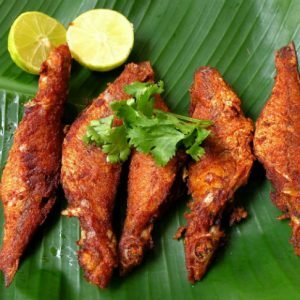 Feel free to comment or share your thoughts on this Thanjavur Fish Curry Recipe from Awesome Cuisine.